Get 25% off Black Friday Sale items. Get 20% off. World Weed Day Sale off. Expires on 04/21/2015. Get $10 off $20+. Expires on 02/28/2014. 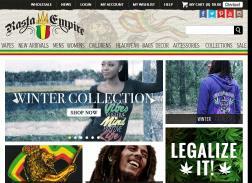 Get 20% off all Orders at 420 Store. Get $10 off $20. Expires on 08/21/2015.